Today we’ll be discussing two of my favorite words in the English language: drink and summer. You see, my days of closing down the bar have come and gone (apparently along with sleeping in past 6am, and having a full head of hair). And while I love a good nightcap as much as the next guy, I’m a day drinker at heart. Set me out back in a hammock on a warm summer day, ballgame on the radio, and a cocktail in hand, and I’m one happy camper. 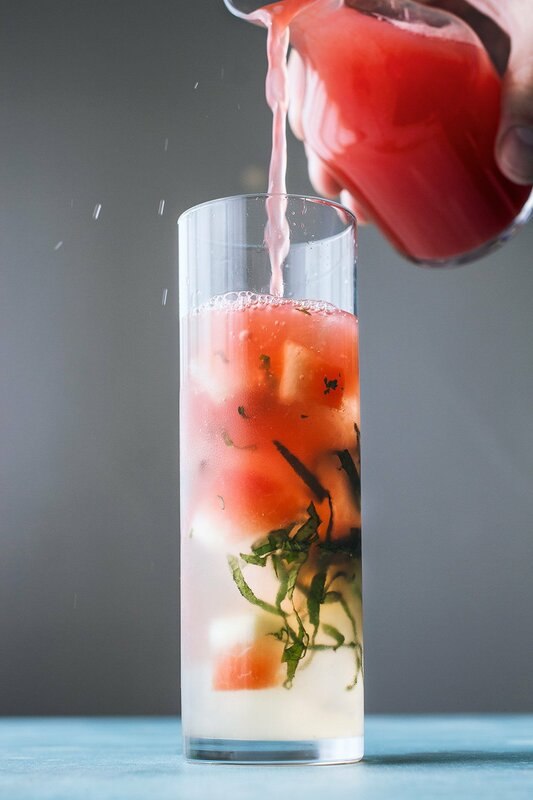 Extra points if that cocktail has pickled watermelon rind, fresh herbs, and sotol!! Well, what do you know, that’s exactly what I’m mixing up for you today. 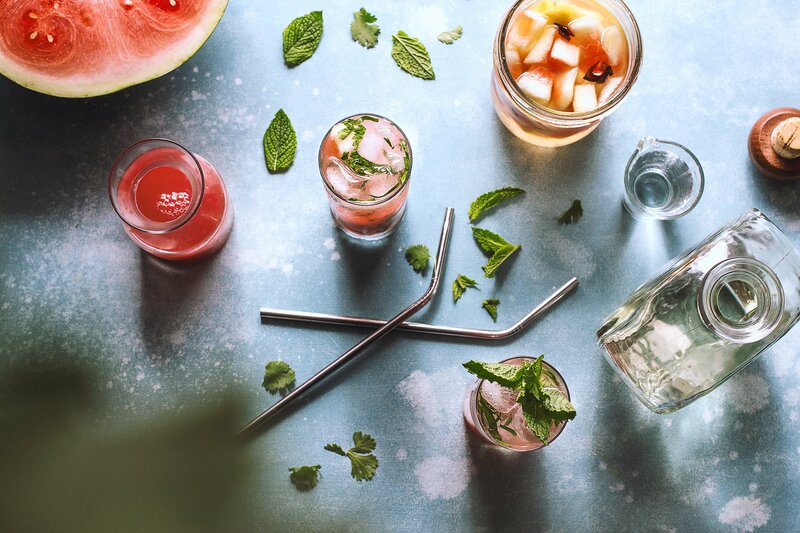 If you couldn’t already tell, today we’re celebrating #drinkthesummer 2016 (links below), where dozens of creative imbibers are offering an abundance of seasonal drink recipes that showcase summer’s bounty in lovely liquid form. No disrespect to the stone fruits and the berries out there, but summer is all about watermelon in our house. Here, sweet watermelon juice and agave are countered with tart bursts of pickled rind and lime. 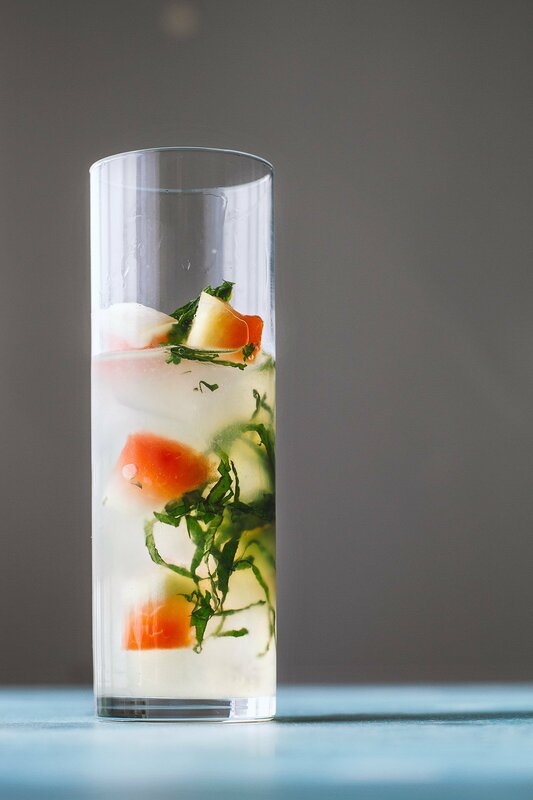 A chiffonade of fresh mint and cilantro add depth, all punctuated by a nice earthy sotol . . . perfect for summer sipping if you ask me! Again, don’t forget to check out all the other yummy summer drink links below. A special thanks to Sherrie from With Food + Love for organizing!! 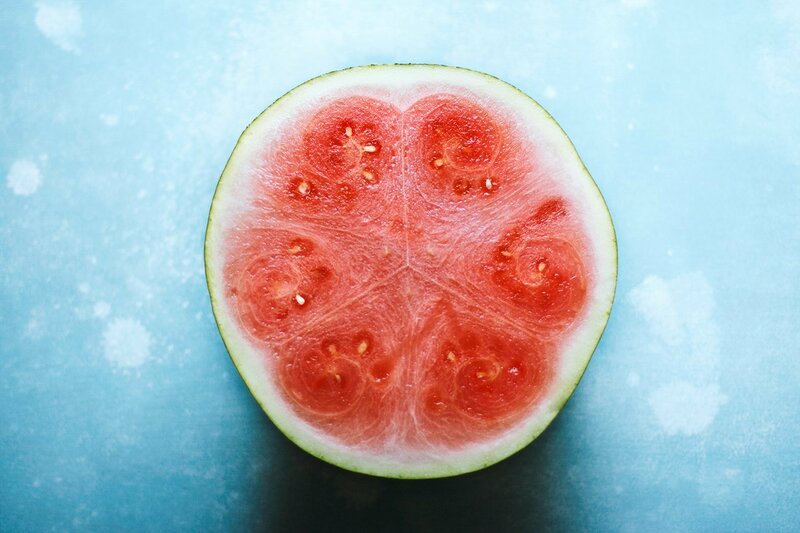 Start by cutting the rind off of the watermelon. Try your best to leave some of the red flesh on the rid. Carefully remove the green skin from the rind, then cut the rind into 3/4 inch chunks. Add the ginger, star anise, sugar, vinegar, water, and salt to a medium saucepan over medium heat and bring to a boil, stirring occasionally. Add the watermelon rind and simmer for about a minute. Remove from heat and add to a heat-proof container to cool. Once cool, seal and place in the refrigerator for at least 3 hours before serving, and up to one week. 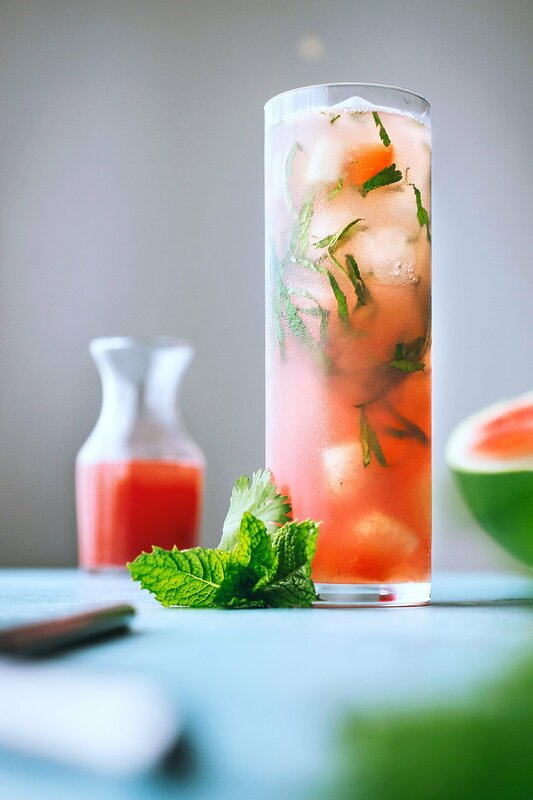 Add the ciffonade of mint and cilantro, pickled watermelon rind, lime juice, agave syrup, and sotol to the bottom of a mixing glass. Top with ice and quickly shake for 5 seconds. 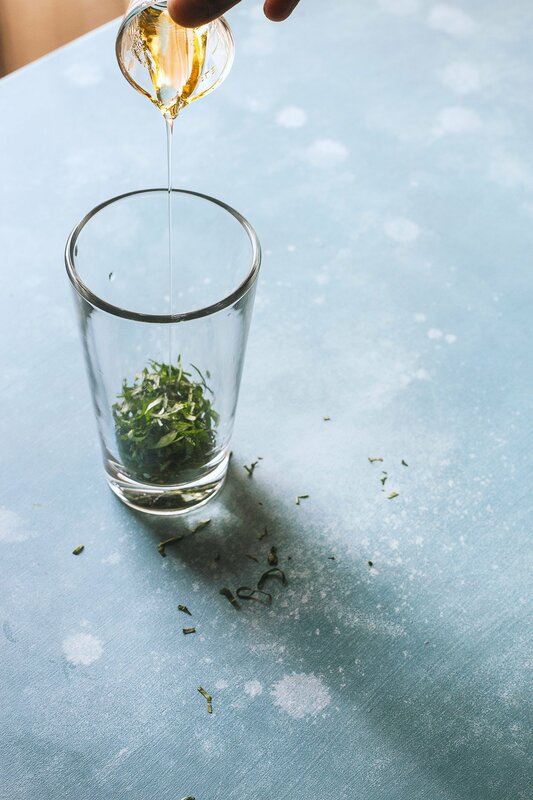 Pour the entire contents of the shaker into a highball glass. Add watermelon juice, and top with more ice as needed. I’m so sad that watermelon will be going out of season soon!! 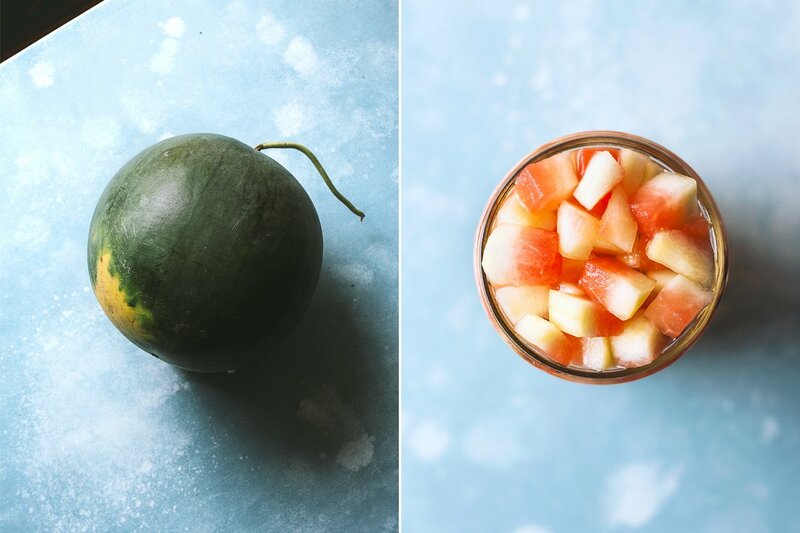 This is the perfect drink for the last few weeks of hot weather and my favorite fruit! Pickles in a cocktail? This is my kinda drink!! I didn’t have nearly enough watermelon this summer. And the best way to get it? With booze via this gorgeous cocktail! Wait I just clicked on the post sotol and it sounds amazing! Wahhh wish I had picked some up when I was in Mexico !!! P.S. Your drink pictures are always SO SO on point. What is this blue surface you’re using? I’ve noticed it in quite a few of your photographs, really nice texture and shade. Now this is one fine looking drink! Just what my Friday (let’s be honest, my Thursday!) needs! OMG…I’ve said it before and I’ll say it again, the bloggers at HonestlyYum are the best food and drink photographers in the business. Even if you never make their recipes, and you are missing a lot if you never do, just checking out the photos are worth the visit. 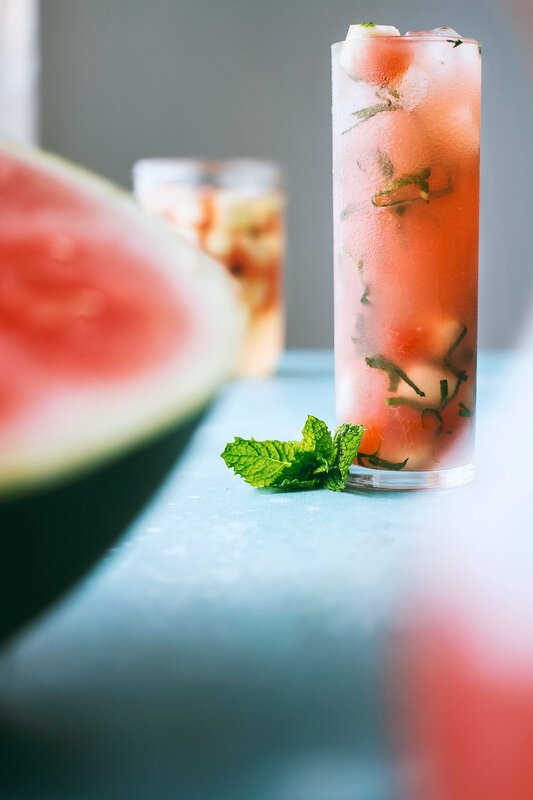 This post is one such example…Todd, your pics jump off the page and make me want to pickle watermelon and enjoy this cocktail. Kudos to you, Karen and Erica!! Once again Homer, you are FAR too kind! Thank you!! Thanks Kyle!! I appreciate it! Watermelon and liiiiiime best combo ever! 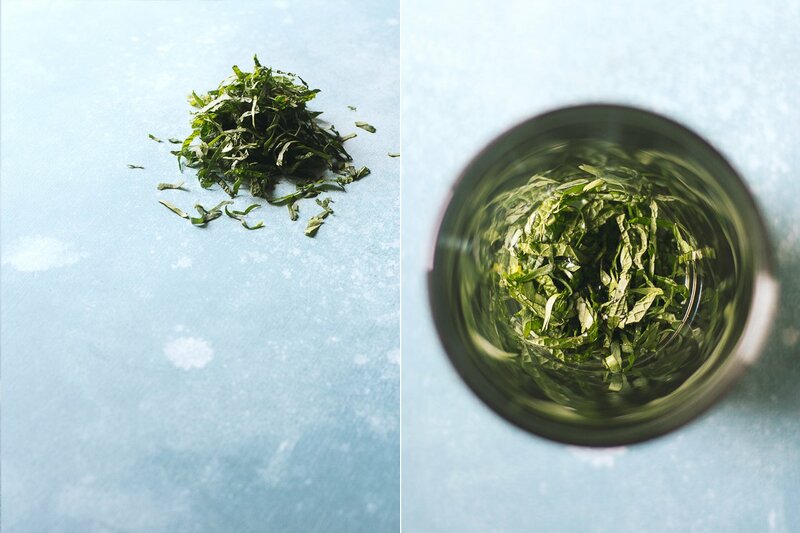 Bring on the mint. This would be good with basil too! I know right!? Gimme ALL the herbs. WOW! Phenomenal! This looks like heaven pure n simple. These photographs are pure magic!! !